-- Select a Size/Color -- Small - Purple - Out of Stock! Large - Purple - Out of Stock! Dogs will have fun with the sweet plush Lulubelles Power Plush Dog Toy Grape Puppy Pop! 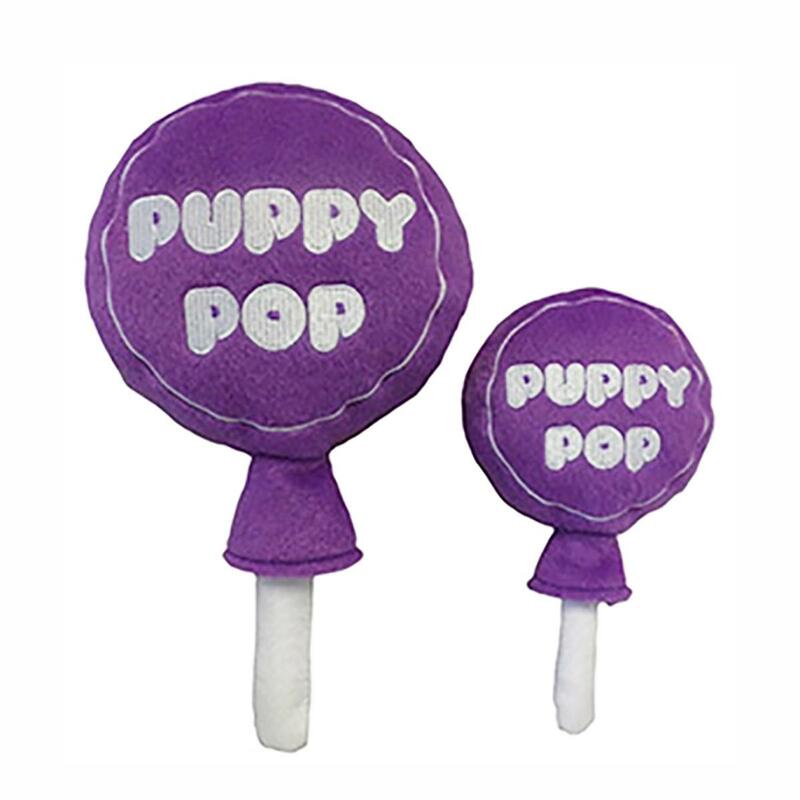 The Puppy Pop Dog Toy is made of Power Plush technology where its soft on the outside but tough on the inside! Each whimsical POWER PLUSH toy is backed inside with an extra layer of durable mesh fused on the inside to make these high-quality, soft plush toys hold up to the scrappiest canines! No loose pieces and strongly stitched seams. All toy material used is safe, non-toxic and has no heavy metal. Squeeze! Squeak! Each toy has a squeaker inside! Power Plush is dedicated to Safety! They are made with non-toxic dyes and comply with the U.S. and European children’s toy standard. Posted On 01/18/19 by Ronda from , OH Yes, Ronda recommends this product! This is just TOO cute and the smaller size is great for Paisley to play with (and purple is a plus). I've stocked up on toys to give her for holidays/birthday and am SURE she's going to LOVE playing with this one just as much as all her others.